This is currently my new favourite clay mask! 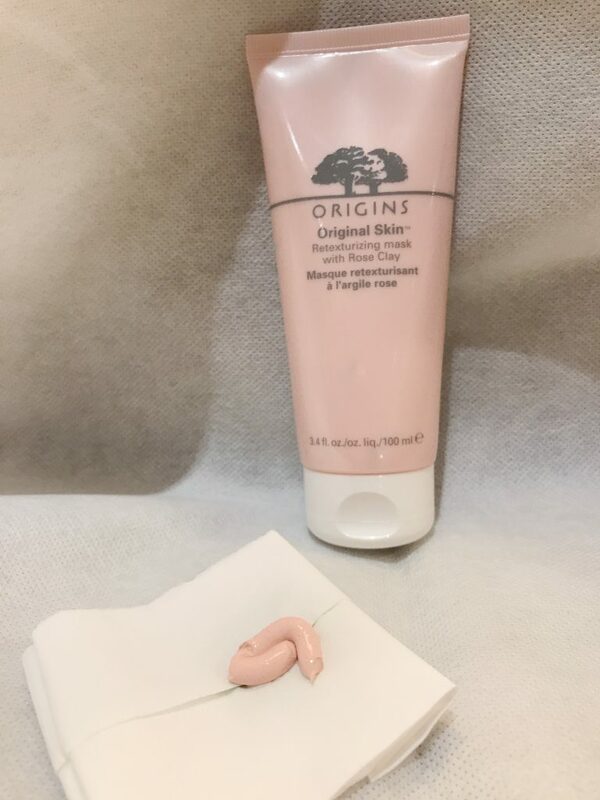 The Mediterranean Rose Clay and Canadian Willow Herb restores skin clarity and performs deep cleansing action. I currently use it once a week especially when I feel my face is producing way too much oil… this balances things out pretty well for me! There’s also Jojoba beads which exfoliates my skin. I’d like to think that this helps get me a more youthful and smoother complexion. Also, it removes the dead skin. On the overall, I would say this brightens up my complexion, clears clogged pores, and reduces skin inflammation while firming up the skin. Since I’m always in a rush, I like the fact that the mask drys up very fast – less than 10 minutes! 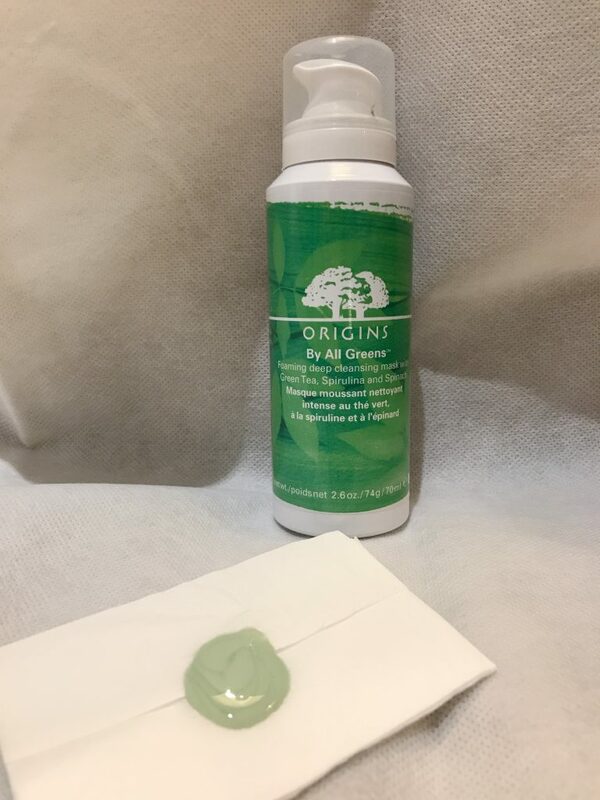 This ORIGINS By All Greens Foaming Deep Cleansing Mask is essentially a 2-in-1 cleanser and mask at the same time! For me, I like use it on my lazy days by applying an even layer on my skin – without rubbing the product in – and waiting for it to “bubble” (or rather, foam) on my face. After which, I rinse it off in small circular motions! Ta-dah, done! Anyway, what makes this deep cleansing mask so awesome is that it also features green superfoods – including green tea, spirulina, and spinach – and it gently cleanses without stripping or drying my skin! The natural ingredients also helps to detox, while drawing out dirt, debris and makeup from my skin and pores! I’ve tried many pimples creams but those good ones are mainly tinted or leave a grey cast behind. Oh, and for most others, if I coat the pimple with an overly-generous amount, they also tend to stain my pillow when I sleep…. 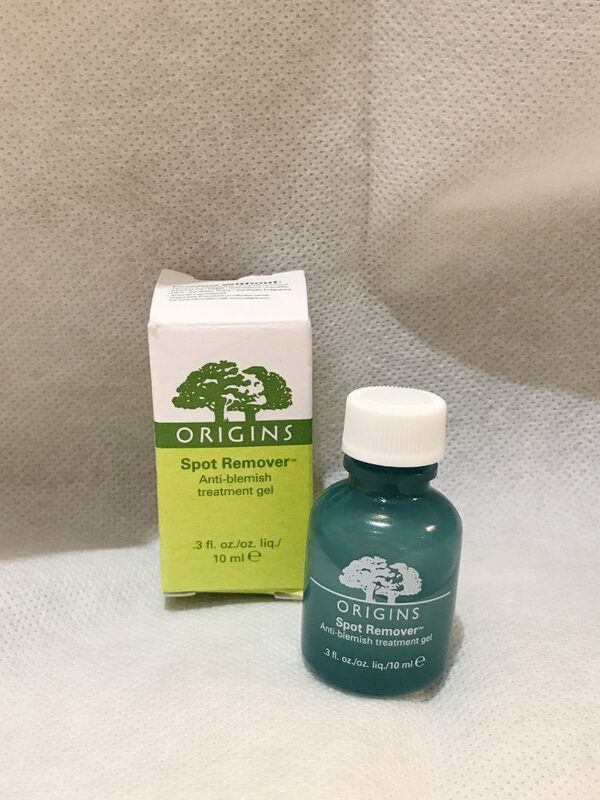 but not for ORIGINS Spot Remover! What this is is essentially a blemish-fighting acne spot treatment with the active ingredient as salicylic acid. It’s also transparent in colour, so you don’t have to worry about staining. I usually coat a thick layer of it without worrying about it staining my pillows! Do note that the smell can be pretty strong but it goes off in awhile after application in a few minutes. Oh, and it doesn’t contain parabens, sulfates, synthetic fragrances, synthetic dyes, petrochemicals, phthalates, GMOs, and triclosan – all that stuff which you don’t want on your skin, really. From my usage so far, I would think that it actually works best for pimples without “head” and those red angry pimples as it forces the pus to surface on the top (out from your pores). 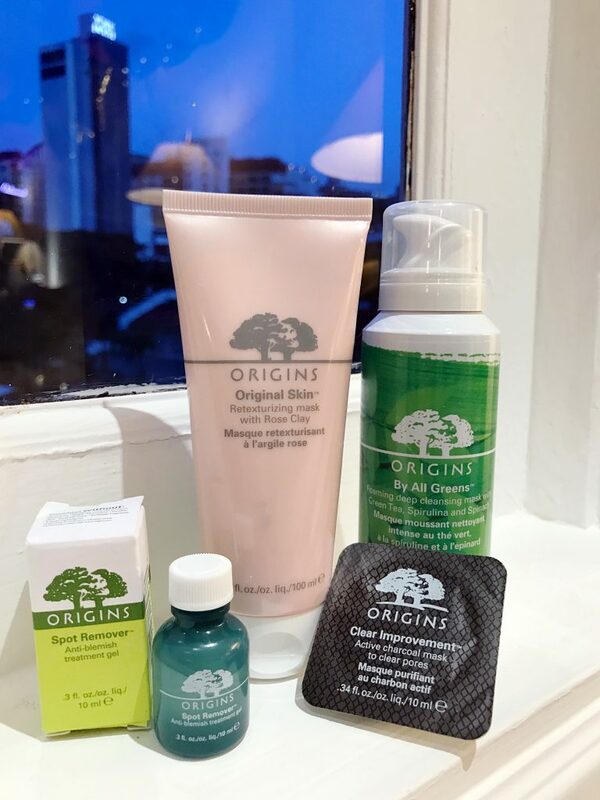 P/s: If you were to ask me the one product that is my favourite of them all, it would be the Origins Super Spot Remover. It may seems like a small bottle (good for traveling because you can bring it on flight!) but seriously, it takes forever to finish! Just a bit can really coat whatever size pimple/acne you have!